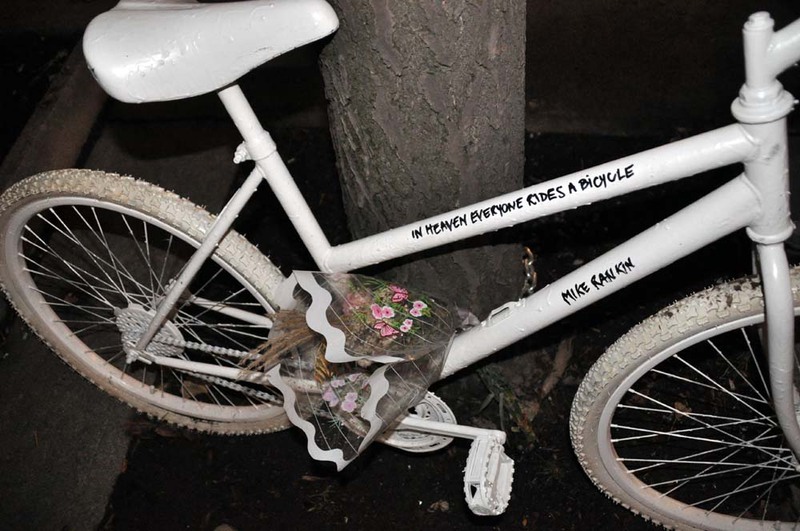 A lonely white bike sits on University Avenue in #Toronto. It is a memorial for bike courier Mike Rankin who died after being struck by a taxi in November 2012. 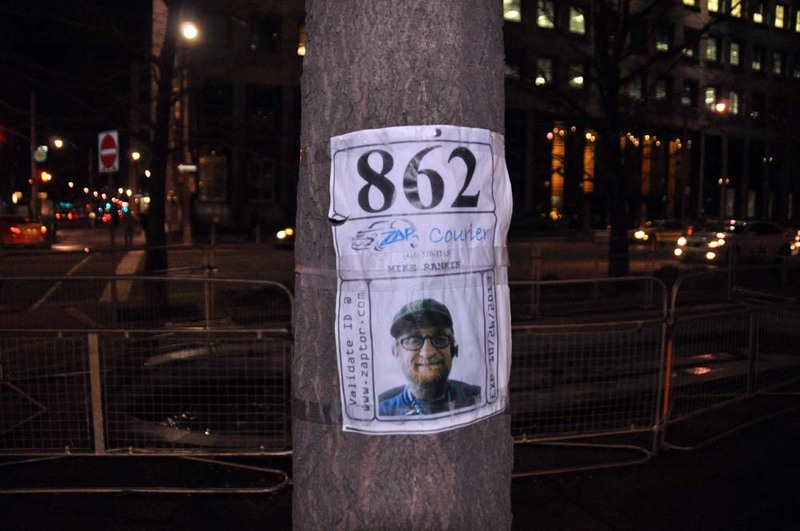 The 56 year old Zap courier was hit at University Ave and Richmond Street and suffered severe head injuries and died in the hospital. 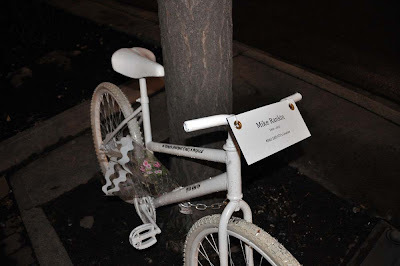 A few days after his death a Ghost Bike Memorial Ride was dedicated to Mike, leaving Spadina Avenue and Bloor Street West at 8 am. A white bike was left at the accident scene as a further memorial to the bicycle courier. I took these photos early in December last year.